Hello traders. 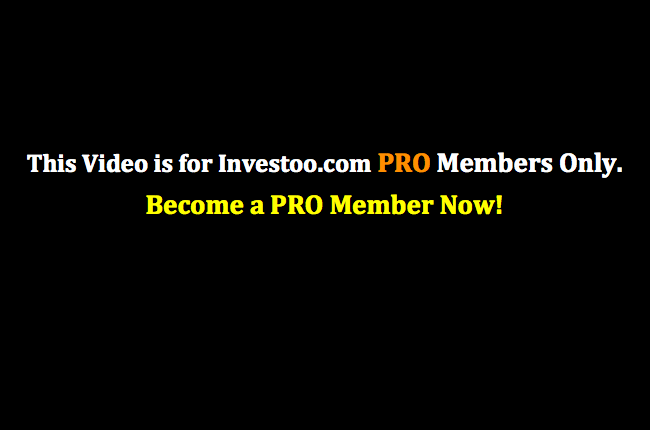 Welcome to the Pro Training Course, and the second module of Pro Traders Mindset. In this lesson we are going to learn the importance of trading your trade plan. And the reason this is important is because if you deviate from your trading plan, you are going to completely crush your win-rate in the overall run. Now, let me explain to you more in depth what I’m talking about here. Part of being a professional trader is not deviating from your trading plans. This means that when you have a setup in your hands, and decide to take it, you won’t close your position early to fast profits. Alright so basically, what I’m saying here is that for instance, if you have a setup. A high probability setup, that yields a certain amount of risk for a certain amount of future profits, you are not going to deviate from that. If you decide to take it, you’re either going to wait for your stop-loss to get hit, or your profit targets get hit. Of course, there’s some trade management in between, but we are going to look at that further in this course. The reception is obviously trade management in both, where you might take partial profit at first targets. But this is also part of your trading plan. So basically, you are not going to try to take partial profits because you are afraid that that price is going to deviate and go against you, and hit your stop-loss once you are in profits. You are going to wait for either one of them to happen. And not following your plan will crush your win-rate and profitability, and this is what this lesson is all about. If you don’t follow your trade-plan, if you don’t follow the specific lines of your trend-line, you are going to be less and less profitable in the long run. Or you might even get to the state of being a non-profitable trader in the overall run. The reason is that you are always going to take full losses, but only partial and small profits on your trades. So when you take full losses, your small profits are not going to be enough to overcome those past losses. So you might become an unprofitable trader, but have a truly profitable system. And the reason you are going to become unprofitable is because you don’t follow your trade plan. And the main reason is that this is going to completely change the risk to reward ratio on your trades. Now let’s look at an example. Let’s say that we are looking at price-action right here. And we have defined this area as a strong area of resistance. So we are going to wait for a retest to go short on this instrument. And price comes all the way down here, and moves up to the area of resistance. Again, giving us a rejection right here. So we decide to go short with a stop-loss above the highs. Now, this is part one of our trade plan. We decide to put our stop-loss above the highs of the move, and the targets at the previous bays of the move. So this scenario, or this setup, this high probability setup is yielding a one to four risk to reward ratio, which is excellent. And what happens next is the price comes down here, but then you see this rejection candle. When this candle closes, you get afraid of price moving against you and hitting your stop-losses for a loss, so you close your trade prematurely on a 1 to 0.5 risk to reward ratio. Which is far, far worse from your original risk to reward ratio. You still made a profit, but the risk to reward ratio is extremely bad. Then of course, price comes all the way down here and hits your original targets. Now, this is what not following your trade plan looks like. And if we take for example, the equity growth that we saw on the past lesson. And if you remember correctly, even with 11 losses on 20 trades, we practically made 17% growth on our account. But we always respected our trade plan, and we always traded with at least a 1 to 3 risk to reward ratio, risking 1%. Now let’s say that you don’t respect your trade plan, and where we take the same trades that we did on this account. But because we don’t respect our trade plan, we end up with a 1 to 0.5% risk to reward ratio. Now your account would look like this. Same wins, and same losses, same risk percentage on each trade. But, because you closed your trades too early, you had a very bad risk to reward ratio. And what happens here is that your wins do not cover your losses, and you end up losing 6.36% of your account in 20 trades. So, you can see the difference between the two of them. The two of them have the same trading system, or the same trading strategy. The two of them take the same trades at the same level, risking the same percentage of the account every single time. The difference is that the first one, always respects the profit targets, and the second one doesn’t. By not respecting your profit targets, and by not trading your plan, you end up losing money in the long run. And this is how your equity curve looks like, in comparison to the other one. So, always respect your plan, and always trade high probability setups on a one to two risk or reward ratio or better.